Pebble's new watches get serious about fitness, and the Core lets you leave your phone behind when you work out, with 3G, GPS, and storage onboard. After a pair of successful Kickstarter campaigns—two of the most successful campaigns of all time—Pebble is launching three products with its third Kickstarter campaign starting Tuesday. 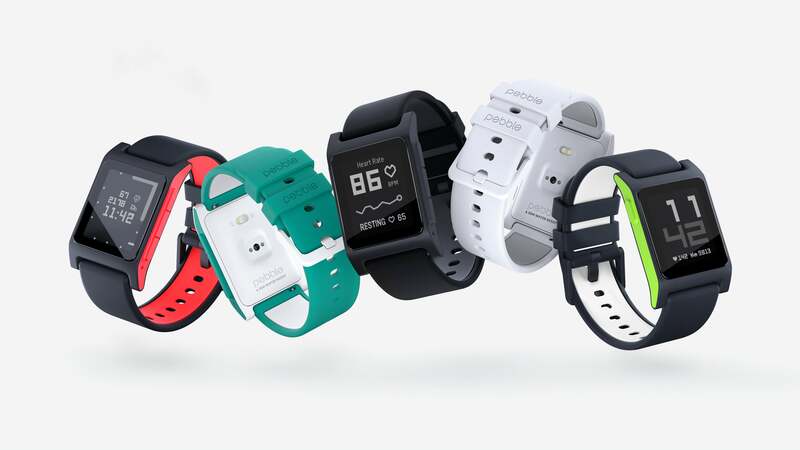 Two of the new products are, naturally, smartwatches: Pebble 2 and Pebble Time 2. However, the real news is Pebble’s first product that’s not a watch. Pebble Core is a small, unassuming square made of plastic that adds more capabilities to your Pebble Watch, standing in for a smartphone’s GPS, cellular connectivity, and storage when you want to leave your phone behind. Adding to the company’s newfound focus on fitness applications, the Pebble 2 and Pebble Time 2 are equipped with heart rate sensors. The heart monitor will record your heart rate every 10 minutes, unless you begin a workout on the watch, or it automatically detects you’re running or walking, after which it will continuously record your heart rate until you’ve finished. We’ve watched as Pebble has progressed from a company with a focus on fine-tuning its smartwatch experience, to rapidly improving upon the fitness features of its watches. Heart rate monitoring was the next logical step. 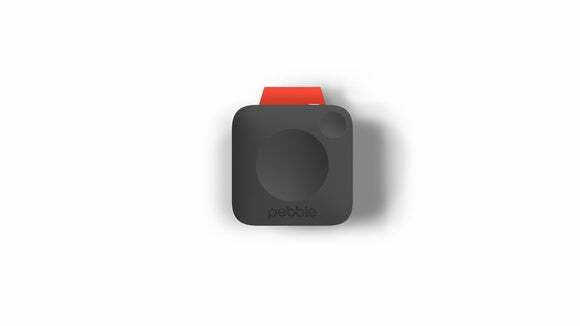 I recently sat down with Pebble CEO Eric Migicovsky to get a look at the company’s new wares. During our time, he also walked me through a new software feature that will debut alongside the watches. The most notable software change revolves around what Pebble is calling Actions. The company found that people didn’t want to click through menus and apps in order to do something as simple as order an Uber, or begin composing a text to a loved one. With the new software, when you press the up button, the watch will immediately display a series of actions. Highlight the task you want to complete, press the middle button, and you’re done. You can set up actions within the Pebble app. Sticking with Pebble’s previous promise to support older products, the new software will also be available for current Pebble Time watches. Pebble 2 hits on all the same points as previous-generation devices: Battery life of about a week, water resistance up to 30 meters, iOS and Android compatibility, and a microphone for voice interaction. It will be available in five colors, is priced at $99 during the Kickstarter campaign, and will begin shipping in September. Retail pricing for Pebble 2 will be $129. Pebble Time 2 eliminates one issue I’ve long had, but accepted as just something I had to deal with: screen size. With Time 2, Pebble kept the body of the watch the same size and shape as the Time Steel, but increased screen size by 50 percent. And thanks to better backlight technology and a bonded display, it’s easier to view indoors than the previous model. I briefly used a Time 2 last week, and can say the display looks much better than the Time’s display. 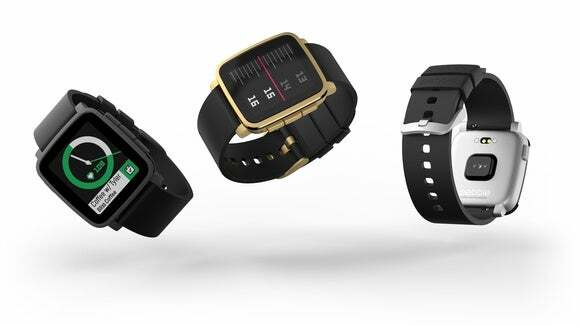 Pebble Time 2 will offer 10 day battery life. Offered in three colors, it’s priced at $169 on Kickstarter (after which it will go to $199), and will begin shipping in November. All in all, both watches look to be solid upgrades to the Pebble lineup. And now for something completely different: Pebble Core is a little plastic square with a magnetic latch to attach to your clothing. Its purpose? A little bit of everything. Instead of increasing the size of Pebble watches in order to add storage, cellular connectivity, or GPS capabilities, Migicovsky told me the company opted to instead create an entirely new product that can let you leave your smartphone at home while you work out. When turned on, the Core can track a workout using built-in GPS, play music from the device’s 4 GB of storage (Spotify Premium support is baked in), and help keep track of your workouts through apps like Runkeeper and Strava. There’s even a microphone and small speaker should you need to place a phone call in a pinch. Yes, that means Core has 3G connectivity built-in, but you’ll have to furnish your own SIM card to use it. On the front of the device you’ll find two divots. Each divot acts as a button for carrying out various tasks. Tap the bigger button to activate GPS mode, while the smaller button can be programmed to call an Uber or send an emergency SMS to a loved one should you encounter trouble. Core runs Android 5.0 Lollipop, and Pebble plans on openly encouraging its community to tinker and alter the behavior or Core. “Think of it as Amazon’s Dash button, but it’s always on you,” Migicovsky told me as I tried to make sense of the Core. Short-term, Migicovsky sees Core as something that his company’s user base will enjoy altering and customizing. Long-term, Migicovsky sees Core as a more of a central hub for the various devices we carry around with use daily. Right now, that hub is our phone. 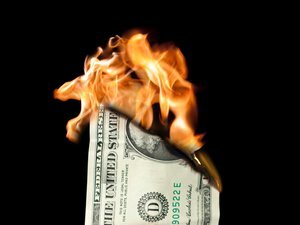 But phones aren’t getting any smaller, and despite LTE being added devices such as smartwatches, paying a service fee for each one isn’t feasible. Core is priced at $69 during the Kickstarter Campaign, with retail pricing expected to be $99. However, you’ll have to wait until January before Core starts shipping. 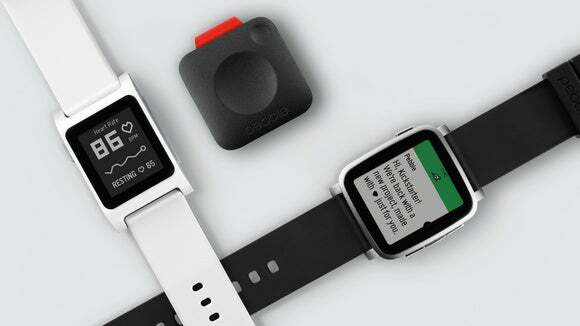 You can visit Pebble’s new campaign on Kickstarter.